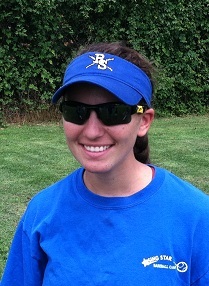 After filling the role of captain and ace pitcher for her high school softball team,Coach Zakilak joined the Rising Star Camp Staff in summer 2011. Blessed with a strong arm and sound work ethic, "Coach Z" has many of the tools of a fine coach. At the camp, Coach Z works with the Rookies (Ages 7-8) and is fierce competitor as coach of her team. Coach Z plays on a travel softball team that competes throughout the northeast region. She attends Boston University and is an especially talented economics student.